BEST SELLER! 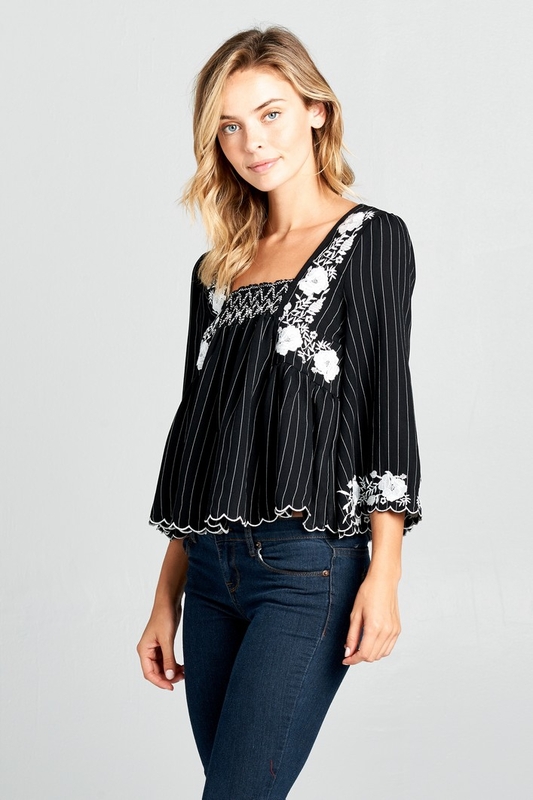 Scallop detailed 3/4 sleeve top with floral embroidery. 100% Cotton. Models are 5`8 wearing size SMALL.